What is the role of adaptor proteins in the stabilization and function of core adherens junction components? The difficulties in establishing a direct link between the α-catenin–β-catenin complex and the actin cytoskeleton underlies a higher degree of complexity in the intracellular structure of AJs. Much of this complexity stems from the multiple interactions that each component can engage. For example, p120-catenin controls cadherin’s endocytosis however it has also been shown to recruit additional adaptor proteins including afadin, and in turn ZO-1, as well as cortactin . Depending on the cell type and its localization, (in the nucleus or in the cytoplasm) p120-catenin has also been correlated with Rho A recruitment, AJ regulation and subsequently cancer cell invasiveness (reviewed in ). 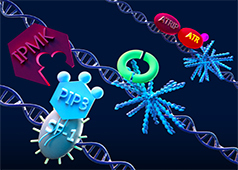 To date numerous adaptor proteins have been identified within AJ sites. 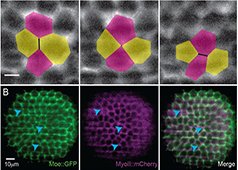 These proteins may be recruited to the plaque region where they function in the structural integrity of the AJ or in the regulation of complex dynamics. 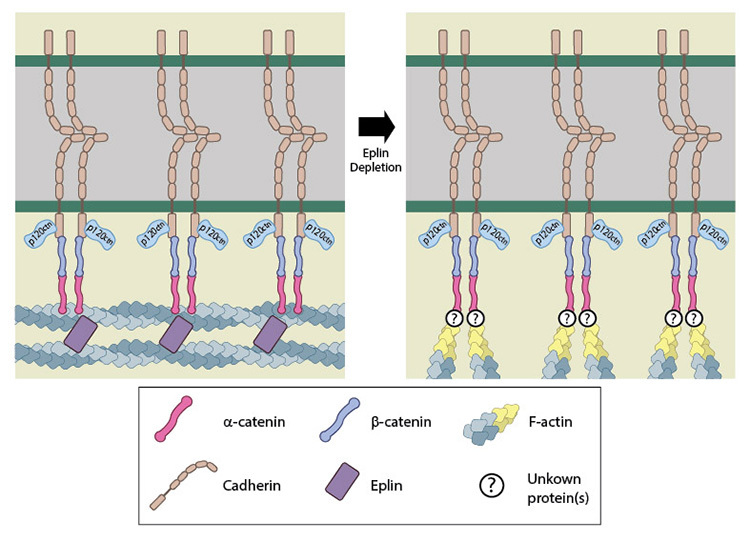 Vinculin, which is also found in integrin based cell-matrix adhesions, is found in AJs in association with α-catenin where it has been proposed to bind to a novel binding site that is thought to be exposed only when α-catenin has been stretched . 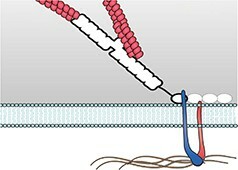 Like vinculin, afadin, which is recruited to the AJ by p120-catenin , α-actinin and EPLIN can all bind α-catenin and the actin filament network . Fitting with the complex and dynamic nature of interactions within the AJ, it has been reported that vinculin, as well as afadin do not bind to the C-terminal domain of α-catenin  which was highlighted as being essential in the rescue of cadherin function in fibroblasts . 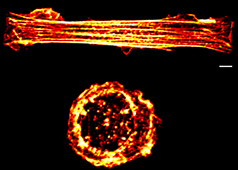 Adapted from .EPLIN is able to bind α-catenin, bound to the β-catenin-cadherin complex, as well as actin. It is therefore suggested as a candidate for linking the cadherin-catenin complex to the actin cytoskeleton. Moreover, it is also suggested to promote and stablize formation of the adhesion belt, with its loss causing the actin cytoskeleton in this region to take on a more immature appearance of radial filaments . Importantly, adaptor proteins localized at AJs may also facilitate the recruitment of other proteins that function in associated mechanisms such as cytoskeletal organization. 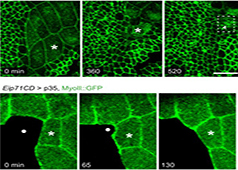 It is known for example that AJ adaptor proteins recruit the Arp2/3 complex, formins and other proteins involved in the regulation of the actin cytoskeleton . 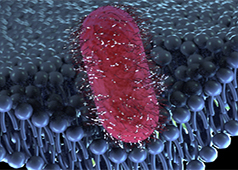 Overall, the complex and highly dynamic arrangement of the AJ may enable it to endure the transient yet strong forces produced during processes such as apical constriction, where the actin cytoskeleton pulls upon the adhesion complex. 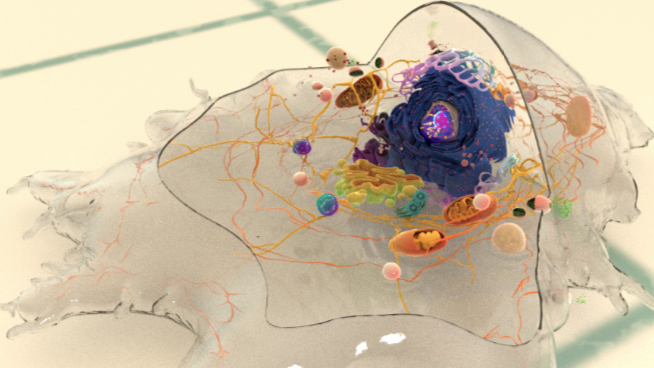 It is unlikely that any single protein is responsible for linking the catenin-cadherin complex with the actin cytoskeleton. 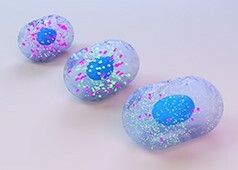 Instead, eplin and vinculin, as well as additional candidate proteins such as ZO-1, α-actinin, afadin  are likely to contribute in a manner that is cell type dependent. 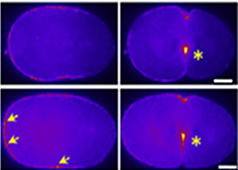 The interactions that facilitate this link are also likely to be transient which is consistent with both adaptor protein turnover rate, which is within minutes, and the dynamic nature of the cortical actin cytoskeleton as revealed by FRAP experiments . 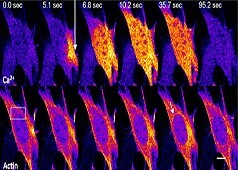 Whilst this makes detection of any link difficult using current experimental techniques it should be noted that even numerous weak, transient interactions could still promote strong linkage between cadherins and the actin cytoskeleton through sheer numbers (as reviewed in . 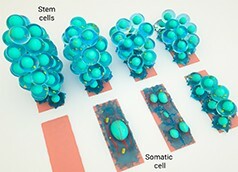 These interactions may be cell type specific and given their importance in maintaining tissue integrity may also exhibit protein redundancy.